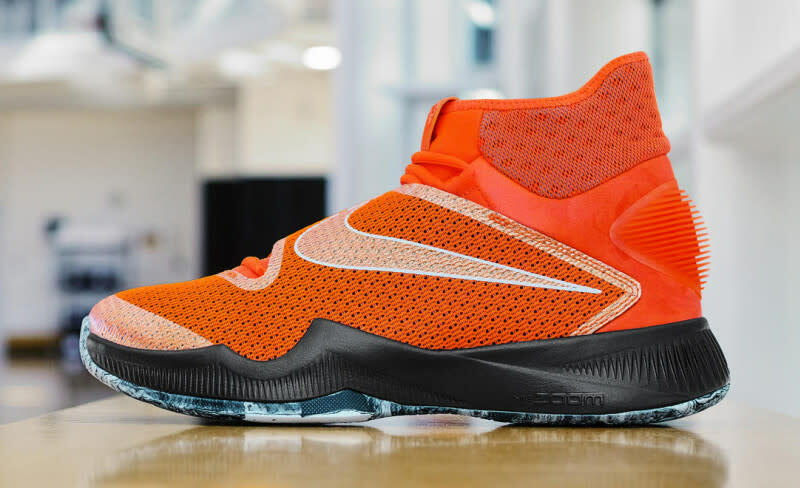 Check out these sneakers honoring players' moms. In honor of Mother’s Day, we are taking a look back at some of the special sneaker tributes to NBA moms we’ve seen over the years. 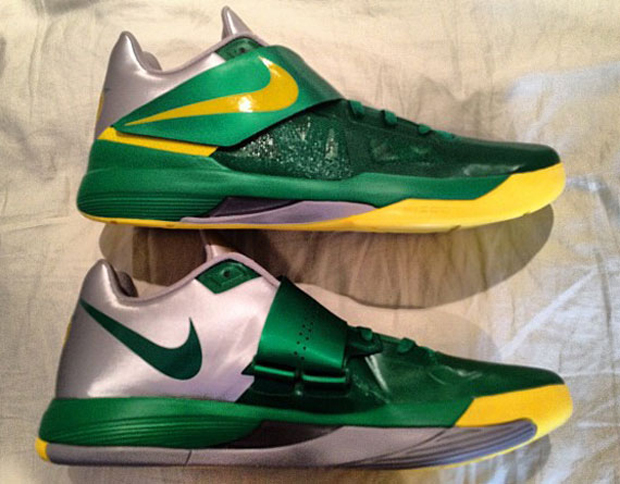 While they’ve typically come in the form of PEs, there have been a few to release to the public as well. Check out the following gallery of kicks from some of the game’s biggest superstars, and be sure to wish your mom a Happy Mother’s Day. 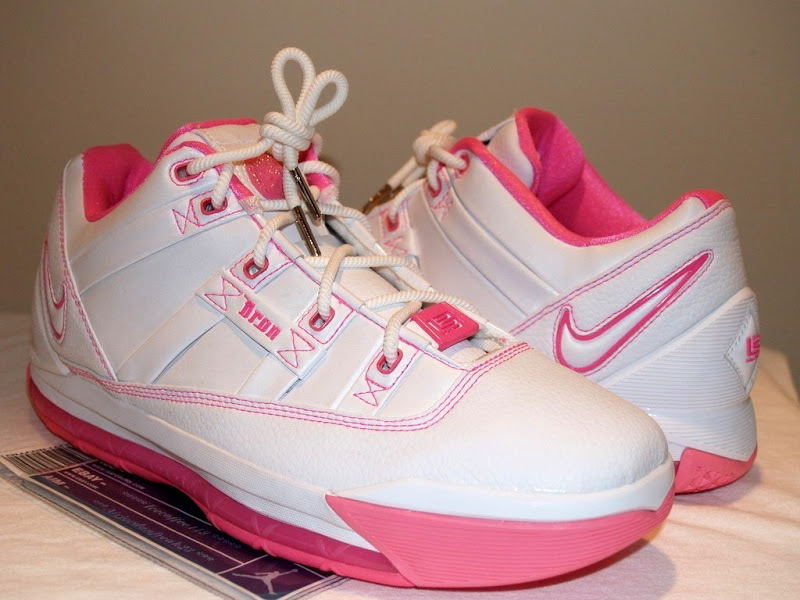 Nike Air Zoom Generation "Gloria"
Nike Zoom LeBron 2 "Gloria"
Nike Zoom LeBron 3 Low "Gloria"
Nike Zoom LeBron 4 "Gloria"
The trend of mom PEs can be traced back directly to one mother-son tandem, and that is LeBron and Gloria James. 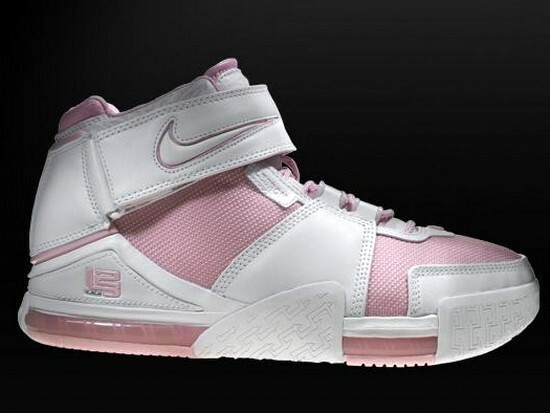 Dating all the way back to the first signature shoe in the line, white and pink editions have popped up honoring the woman LeBron so often credits for his success. While these began as PEs, in recent times these colorways have ended up releasing in kids sizes. And as Nike’s Think Pink campaign has taken off, retail versions of the Soldier line have hit with Kay Yow’s ribbon logo. 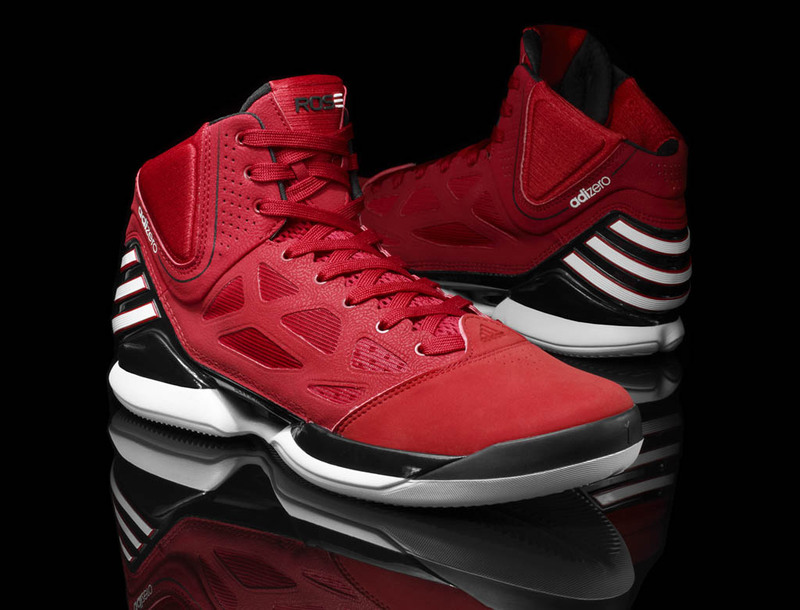 Above though, you’ll see the original and true Gloria PEs. 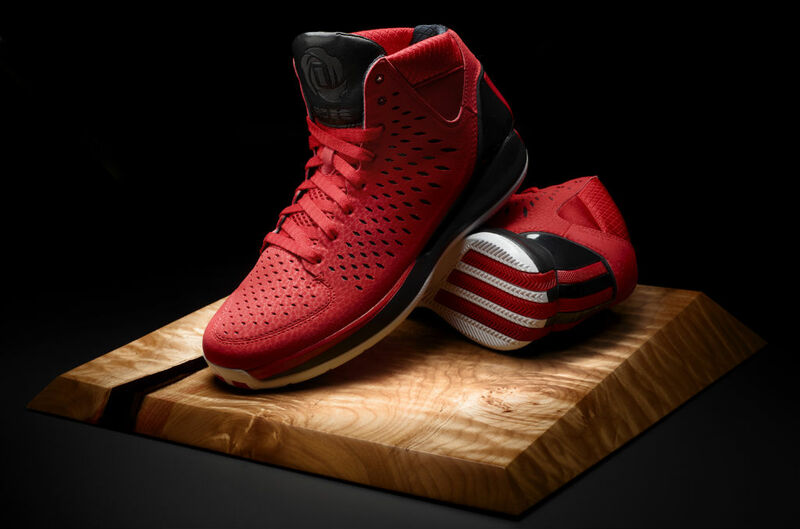 Adidas adiZero Rose 2.5 "Brenda"
Adidas D Rose 3 "Brenda"
Adidas D Rose 4 "Brenda"
Adidas D Rose 5 Boost "Brenda"
Adidas D Rose 6 Boost "Brenda"
Russ now has his own off-court signature model, but on court he’s been seen in a steady stream of Jordan Brand PEs since signing with the brand. 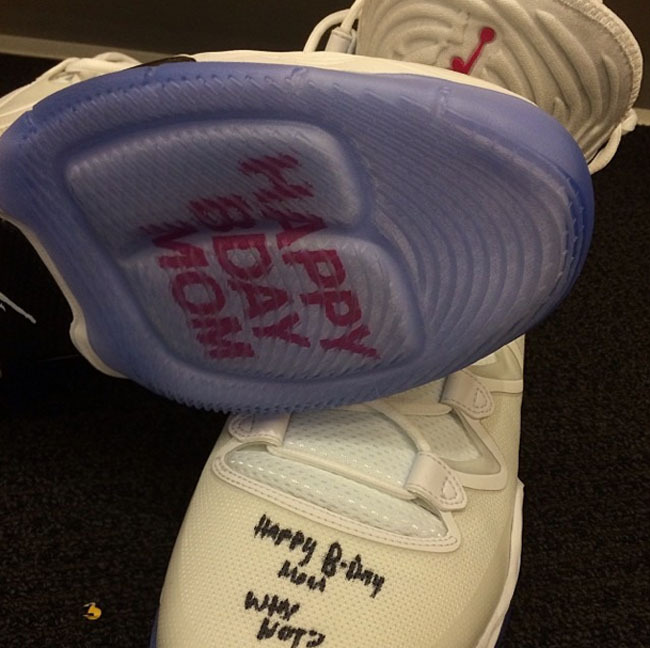 One of the most notable was this birthday tribute to his mom, which displayed a greeting via the clear outsole. Nike Zoom KD 4 "Wanda"
Nike KD 9 Elite "Real MVP"
Details honoring Kevin Durant’s mom have been found in his line for years, but as far as specific colorways, we’ve seen more honoring his Aunt Pearl actually release. The "Real MVP" KD 9 Elite, referencing his emotional MVP acceptance speech from 2014, finally marked a Wanda-inspired launch in 2017. 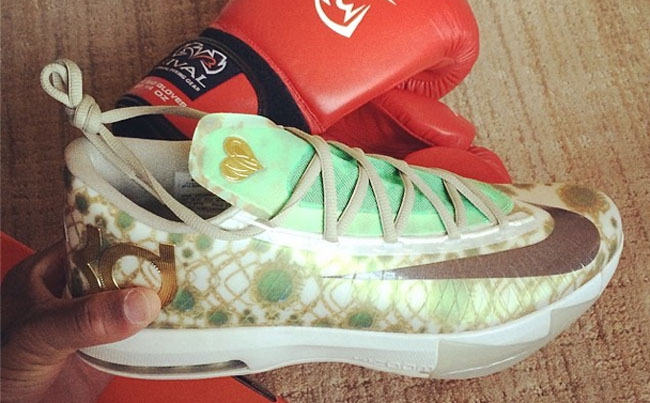 Skylar Diggins' first PE to hit retail is also a tribute to her mother. 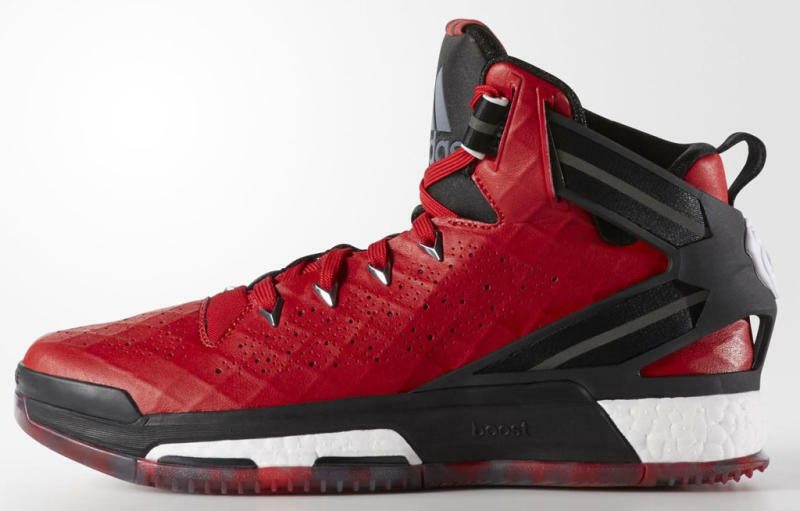 The shoe features personal details on the underside of each strap. "Growing up, my mom was my biggest role model," Diggins told Nike. "She showed me the epitome of what I wanted to be as a woman when I grew up, and showed me what hard work was like." 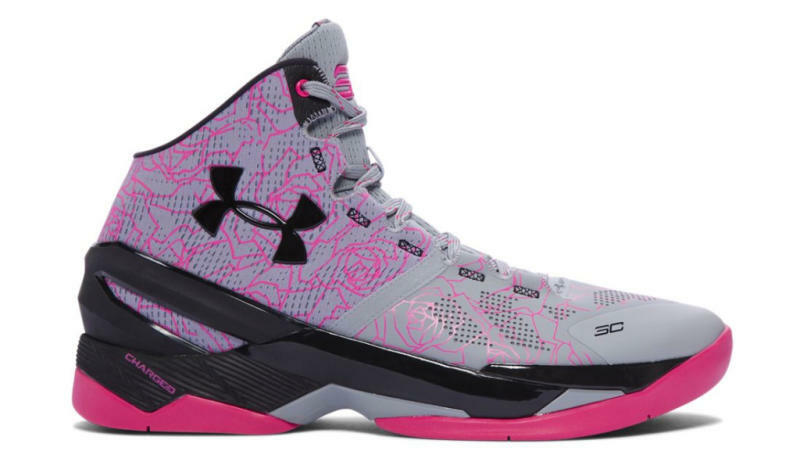 Under Armour Curry 2 "Mother's Day"
While many moms will receive the gift of flowers for Mother's Day, Sonya Curry has a floral-print sneaker dedicated to her. 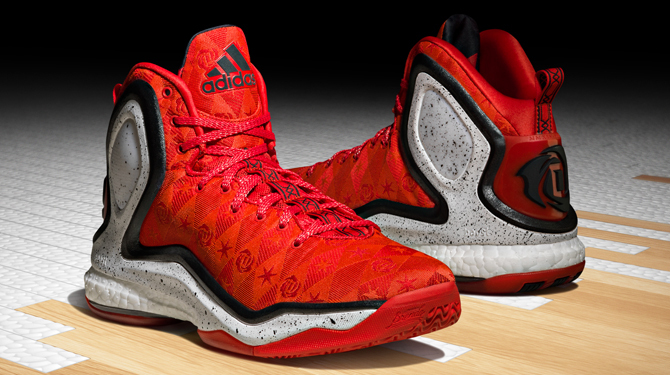 It's a token of appreciation for "her unwavering love and support," according to Under Armour. Sneaker Room x Nike Kyrie 3 "Mom"
In 2017, Kyrie Irving teamed up with New Jersey-based retailer Sneaker Room to release two limited edition "Mom" versions of his Nike Kyrie 3 signature model. A tribute to the late mothers of both Irving and Sneaker Room owner Suraj Kaufman, the detailed sneakers are highlighted by rose embroidery, symbolic of the flowers children and loved ones often gift to mothers. The polka dot lining is inspired by a shirt worn by Irving's mother in one of her best photos. Sneaker Room's creative director Jeff Rose came up with the idea of reworking the tongue logo to read 'MOM' in the same font. 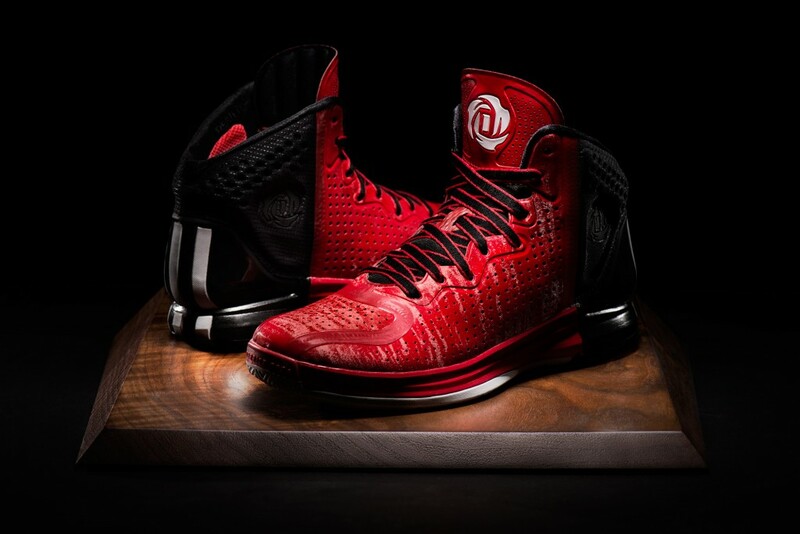 Signatures on the heels have been replaced with the initials E.K. for Ellen Kaufman and E.I. for Elizabeth Irving. Other details include "I Love You Mom" insoles, speckled midsoles, heart-printed outsoles and Love-printed medial Swooshes.